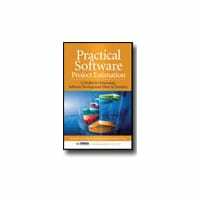 This new, hardback edition published in October 2010 (McGraw-Hill) is designed to help you with the every day challenge of estimating software projects. 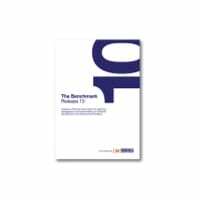 Whether you are looking for a quick indicative estimate for a feasibility report, a detailed estimate for a quotation or capital expenditure request, or a way to standardise and formalise your quoting, this book will prove to be invaluable. Based on data collected by the ISBSG, Practical Software Project Estimation explains how to accurately forecast the size, cost, and schedule of software projects. Get expert advice on generating accurate estimates, minimising risks, and planning and managing projects. Valuable appendices provide estimation equations, delivery rate tables, and the ISBSG Repository demographics. The ISBSG Repository now contains data from more than 5,400 completed projects from around the world. As well as the professionals who produce estimates, other system developers, project managers, students and lecturers should find a wealth of useful information in the book. As reviewed on Amazon.com, October 13, 2010. View a map of the book which shows how this book can answer your estimating questions here.